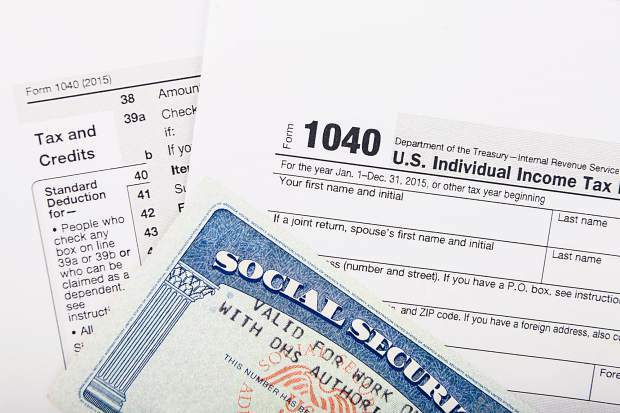 If you are feeling concerned about how to afford getting your taxes done this year, the Tax Aide Program of the American Association of Retired Persons (AARP) again offers free tax preparation assistance for individuals and families in the Tahoe region. This year, volunteers will provide services at the Family Resource Center of Truckee in Truckee and the North Tahoe Family Resource Center in Kings Beach. Services are available and free to locals of all income levels and all ages, as long as your taxes do not include complex or extensive business returns. We file taxes electronically to ensure that your refund is received as quickly as possible. Each year, volunteers take an IRS-sponsored class and exam to ensure that we are up to date on the latest changes to the tax code. This year, appointments will be accepted at the Family Resource Center from 9:15 a.m. to 3:15 p.m. on the following Saturdays: Feb. 4, 11, 18, 25; March 4, 11, 18, 25; and April 1, 8, 15. The address is 11695 Donner Pass Road, Truckee. Call 530-587-2513 for an appointment. Services are being provided by appointment at the North Tahoe Family Resource Center on the following Fridays: Feb. 3, 10, 17, 24; March 3, 10, 17, 24, 31; and April 7, 14. Call 530-546-0952 to schedule an appointment. The address is 265 Bear St. Kings Beach. Taxpayer should be prepared for their appointments by bringing the previous year’s tax return and all tax documents. If itemizing, they should bring property taxes, medical expenses, and charitable contributions. If they are paid as independent contractors (with a 1099-MISC) they should bring deductible business expenses and business miles. Finally, it is very important to bring a picture ID and SSN cards or ITIN letters for everyone on the return. For more information see aarp.org/taxaide or contact your local representative at taxesaarp@gmail.com. This article was provided by the Truckee branch of the AARP. Visit http://local.aarp.org/truckee-ca to learn more.